Oxford Accommodation - The City of Dreaming Spires is located at the south eastern end of the Cotswolds and is of course a main tourist holiday destination.There are a number of places to stay offering accommodation centrally and others located on the outskirts which are ideal for combining touring Oxford City and the Oxfordshire Cotswolds including Woodstock and Blenheim Palace and quaint villages such as Great Tew with its thatched cottages. 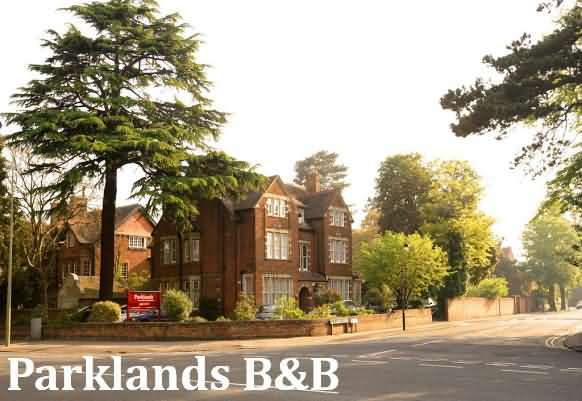 For those wanting the benefit of nearness to Oxford but strategically placed for touring the Oxfordshire Cotswolds including Blenheim Palace we recommend looking at accommodation at the following places:- Woodstock, Witney, Burford and Chipping Norton. 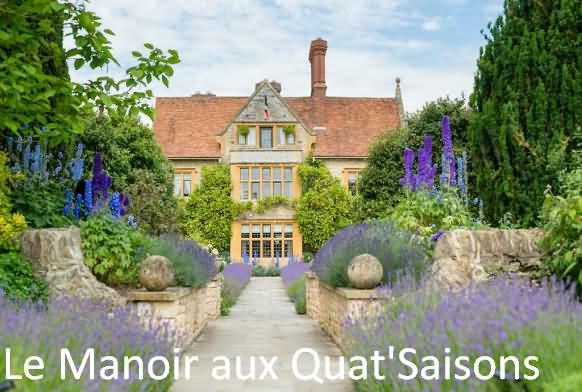 Belmond Le Manoir aux Quat'Saisons is located in Great Milton. Boasting a 24-hour front desk, this property also has a restaurant and a terrace. Guests can have a drink at the bar. The rooms at the hotel come with a seating area, a flat-screen TV with satellite channels and a private bathroom with free toiletries and a bath. Every room comes with air conditioning, and some rooms at Belmond Le Manoir aux Quat'Saisons have a patio. All units have a desk. The accommodation provides an ironing service, as well as business facilities like fax and photocopying. Oxford is 9.9 miles from Belmond Le Manoir aux Quat'Saisons. The nearest airport is London Heathrow Airport, 37.3 miles from the hotel. This property also has one of the best-rated locations in Great Milton! Guests are happier about it compared to other properties in the area. 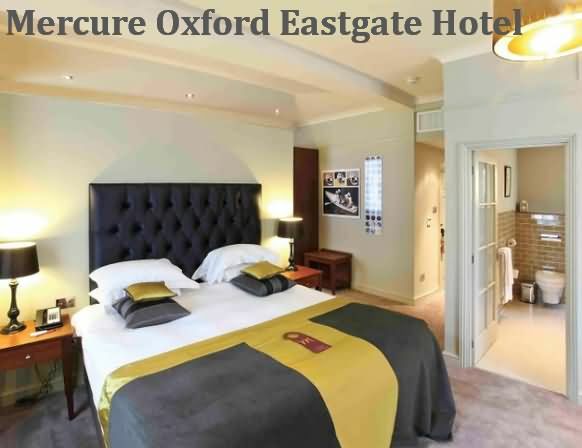 Mercure Eastgate is a 3 star hotel in Oxford and a 10 minute walk from the main shopping centre. The main train station is a short walk, Oxford airport is less than 10 miles and London Heathrow airport is 48 miles. Public car parking is available nearby and charges will apply. There are 63 air conditioned guest rooms with en-suite bathroom, hair dryer, radio, work desk, mini bar, iron and ironing board, direct dial telephone, trouser press, tea and coffee making facilities, television with satellite TV channels and pay per view movies. Wireless high speed internet access is available throughout the hotel for an additional charge. There are a limited number of smoking rooms available. Breakfast is available every morning and the restaurant is open for lunch and dinner and serves a modern European cuisine. The front desk is available 24 hours and additional services include, dry cleaning, ironing, fax, photocopying and luggage storage. Rooms and facilities are suitable for disabled guests. Pets are not allowed. 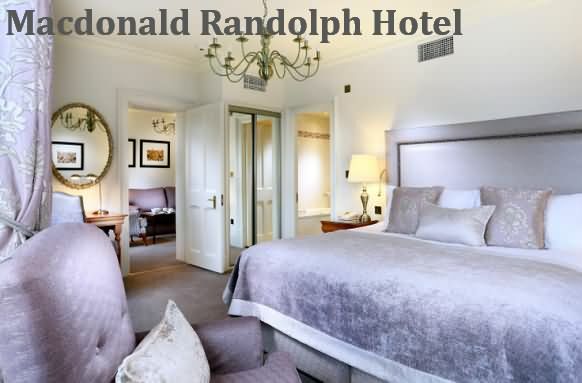 The Macdonald Randolph Hotel in Oxford offers 5-star accommodation. Located in the heart of Oxford, the hotel has welcomed world leaders and given brides the perfect wedding. Each of the 151 rooms is individually styled and includes coffee and a minibar. Executive rooms and higher include bathrobes and slippers, as well as a seating area. The hotel also has rooms to properly accommodate guests with physical disabilities. The hotel has on-site parking for 28.50 Pounds per night, free Wi-Fi, and six conference and business suites that are able to accommodate up to 400 people. There’s also a gym, spa, and 10 golf courses for relaxation. Meals at the award-winning restaurant are prepared with seasonal ingredients. Guests can have their afternoon tea at the Drawing Room, and move to the famous Morse Bar when they’re ready for something stronger. The Macdonald Randolph is just metres from Oxford University. And it’s just across from the Ashmolean Museum of Art and Archaeology, the world’s oldest university-based museum. It’s about an hour from London Heathrow Airport. 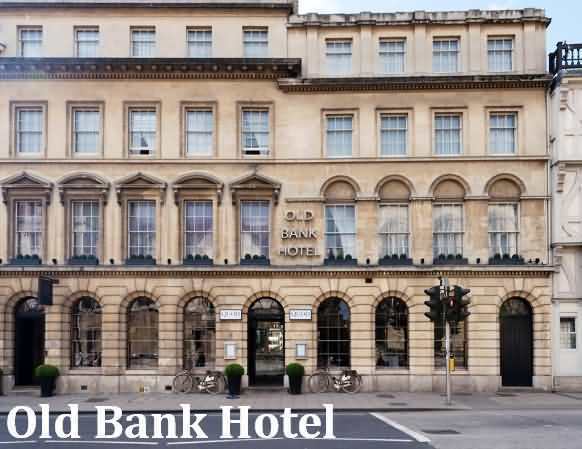 Situated in the heart of historical Oxford, The Old Bank offers luxury rooms with marble bathrooms and modern art. Guests can enjoy breakfast, lunch, afternoon tea or dinner in Quod restaurant with its terrace and bar. The spacious rooms are air conditioned and elegantly decorated. Rooms also offer a TV and ample work space. Many have original period features and views of the city. The hotel has meeting rooms and private dining rooms are also available. Just steps away from Merton, All Souls and Oriel Colleges, The Old Bank is a 5-minute walk from the Botanic Garden. Magdalen Bridge and the River Cherwell can also be reached in 5 minutes, and Oxford Train Station is a 15-minute walk away. This property also has one of the top-rated locations in Oxford! Guests are happier about it compared to other properties in the area. This property is also rated for the best value in Oxford! Guests are getting more for their money when compared to other properties in this city. We speak 5 languages, including yours! This peaceful, elegant hotel with a country-manor style is a 10-minute walk from the center of Oxford. It has a restaurant and bar, a cozy lounge, and pleasant guest bedrooms. 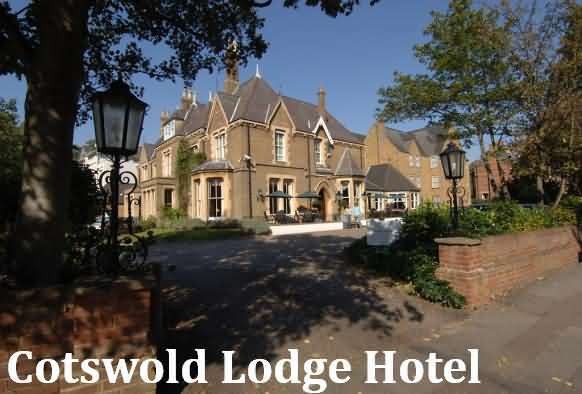 The Cotswold Lodge Hotel is convenient for Oxford University, which is less than a mile from the building. Oxford Train Station is a 5-minute drive away. The recently refurbished Victorian building has very friendly, helpful staff and free on-site parking. Guests can relax in the Mediterranean-style courtyard. 66a Restaurant provides a nice and relaxed setting for dining, bar snacks and afternoon tea. Breakfast features a range of tasty items. 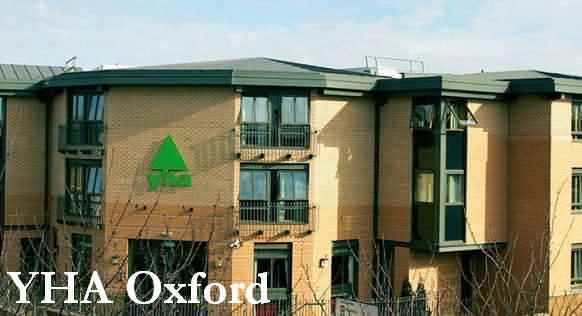 YHA Oxford is brilliantly located beside Oxford train station, on Botley Road close to the River Thames, and is just a short stroll into the heart of the city. It is a purpose built hostel with 203 beds. The modern reception has a café bar offering refreshments after a long journey and is a great place to relax and meet fellow travellers, as well as catching up with e-mails or watching big sporting events on the TV. You can even take your drinks out into the back garden on a sunny day! Facilities include a restaurant, a kitchen for those wishing to cook for themselves, laundry room, a peaceful library, lounge with pool table and luggage room to store bags before check-in or after check-out. Cyclists are welcome with a good-sized locked cycle shed and plenty of space on the back patio to fine-tune their bike. YHA Oxford is ideal for backpackers, families, individuals and groups looking to explore the unique history of the city. FREE WI-FI available in communal areas for guests! YHA Oxford serves a hot and cold buffet breakfast to give you a great start to the morning - we serve from 7:30am until 9:30am, and right up to 11am on weekends. Breakfast is now available at 10% off - ONLY WHEN PRE-BOOKED. Simply add it to your basket at check out to save! There is a café bar at reception serving hot and cold drinks and sandwiches open 24 hours a day. Our Metro restaurant is open every day from 5pm to 9pm offering a range of hot meals, snacks, salads and desserts, all prepared to order by our friendly catering team. We're open to the public so pop in for a bite! Just a few minutes’ walk from Oxford city centre, the Head of the River is situated on the banks of the scenic River Thames. The traditional inn features a riverside terrace and a stylish restaurant. The hotel has a drop off and collection parking area. Parking is limited and is offered for guest staying in superior double rooms only. The elegant bedrooms are individually decorated, and some have river views. All rooms feature a TV and a private modern bathroom with free toiletries. Guests can enjoy a hearty cooked breakfast each morning in the pub restaurant. The evening menu includes local produce and seasonal ingredients, and the bar offers a range of real ales. 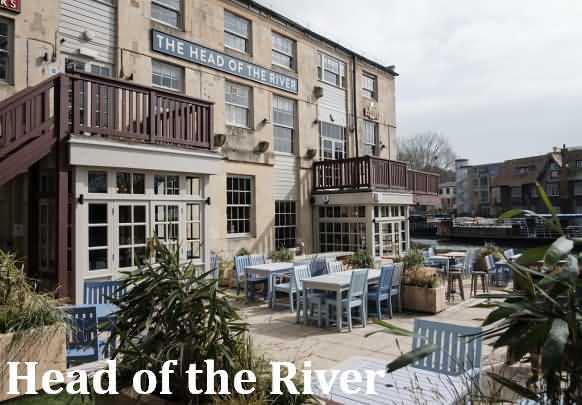 The Head of the River is just a 10-minute walk from the famous Oxford University Colleges. Oxford’s quaint shops and lively theatres are within a 10-minute walk. With our state of the art biomass boiler now installed we have been awarded Green Tourism Silver Level grading. There are four single story cottages all located within 50 yards of each other in a stunning and tranquil courtyard garden with no passing traffic. Beautifully converted from farm buildings 15 years ago and having recently undergone extensive modernisation to combine farmhouse character and comfort. 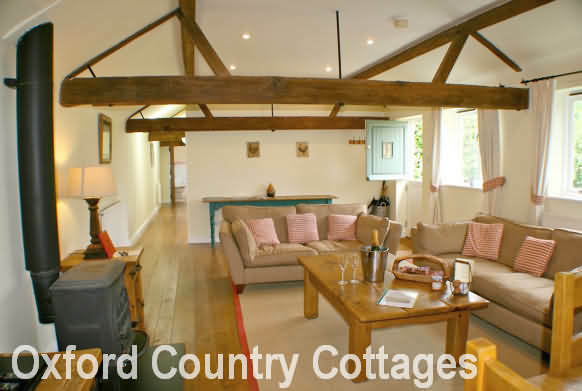 Leave all your troubles behind you and relax in this tranquil countryside hideaway.